I am a very lucky girl. I have a stay-at-home-husband. (He prefers writer, director, producer/stay-at-home-husband.) He does a smashing job of taking care of our precious babe, keeping house and somehow still managing to cook for both of us, much of the time. This does mean, however, that the money I bring in is pretty well parsed out with not a ton left over for non-necessities. This brings about a lot of wishing on my part. 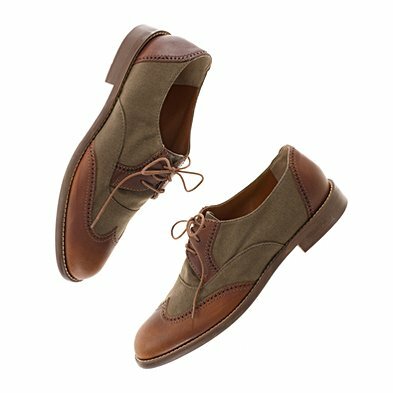 Like for these lovely pair of oxfords from Madewell. I have my sites set on just about everything from Madewell, actually. But when we get that HUGE tax return for being married and having spawned (fingers crossed) these little babies are first on my list.